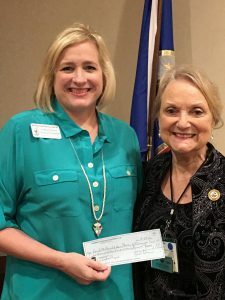 The Alabama Federation of Women’s Clubs is a statewide organization dedicated to community improvement through volunteer service. We are very fortunate to have been selected as their President’s Project for both 2015 and 2016. This year, the annual convention was held in Birmingham where Kathy Robson spoke to the group about how much their support means to the families we serve at the Ronald McDonald House. Throughout the year, these ladies collected funds and pop tabs for the House. 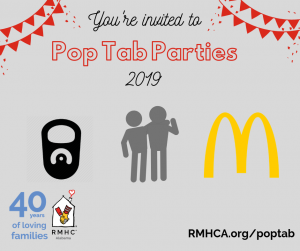 Through donations from the group and other individuals, they were able to raise $10,000 and over 1300 pounds of pop tabs! Read more about these amazing women in the Franklin County Times: GFWC Book Lovers Study Club Receives Top State Award. We are so thankful to groups like this one that come together year round to make sure we can continue to provide comfort and care to families when their child is sick or injured. If you are interested in learning more about how your group can give back, take a look at our fundraising pages.